Wow! 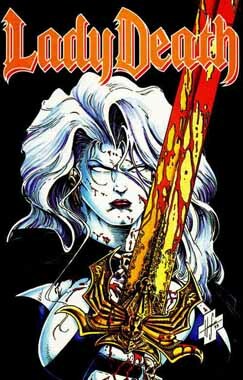 It’s kind of hard to believe that next year is Lady Death’s 25th anniversary! 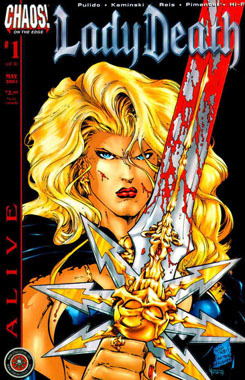 In the Lady Death: Alive mini-series, she finds herself mortal and in human form. The cover to issue #1 is modeled after the very first issue of Lady Death and provides a nice contrast between her original and human forms.